Are Discontinued And No Longer Available. 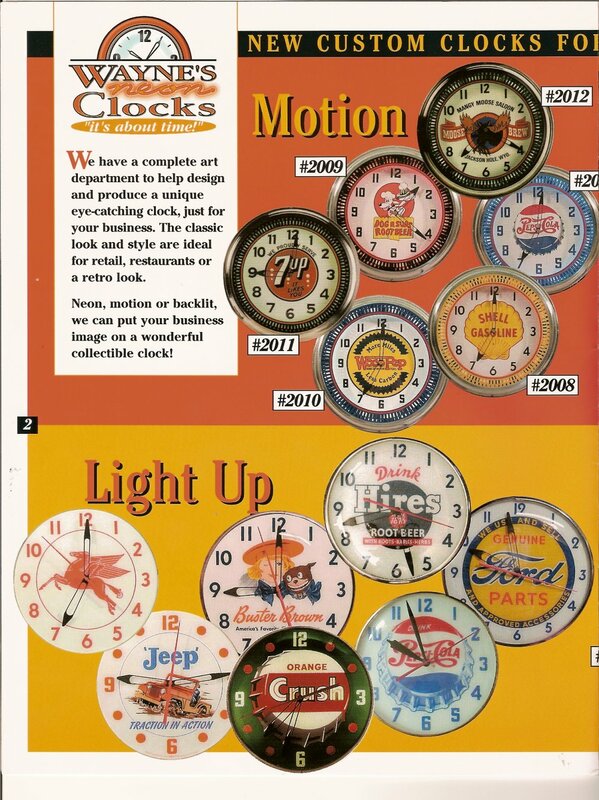 Call & Order Your Parts & Clocks NOW! View From The Porch @ Dixie Gas! Due to difficulties in obtaining parts for clocks and signs not all parts are available at all times. 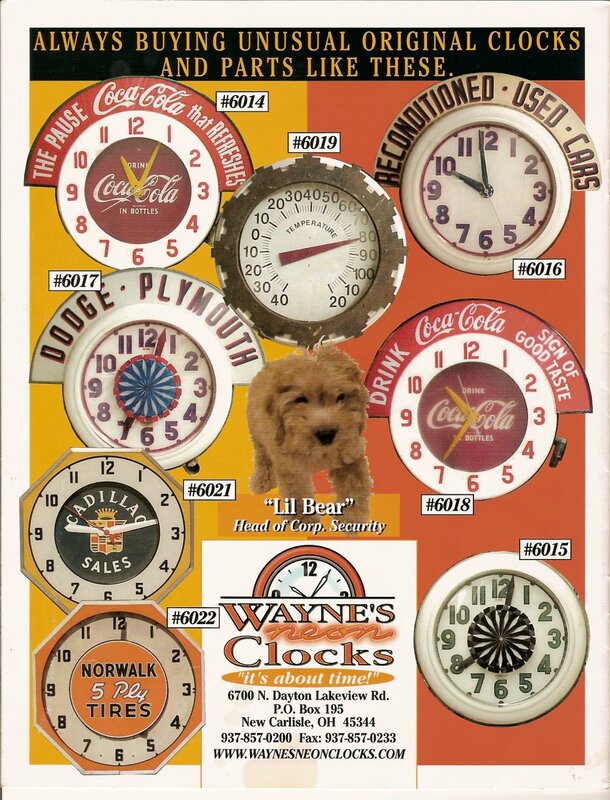 Some parts and clocks are discontinued and no longer available! Due to fluctuations in manufacturing, prices on price list may not be correct and should only be considered a guide. Contact us for proper pricing. 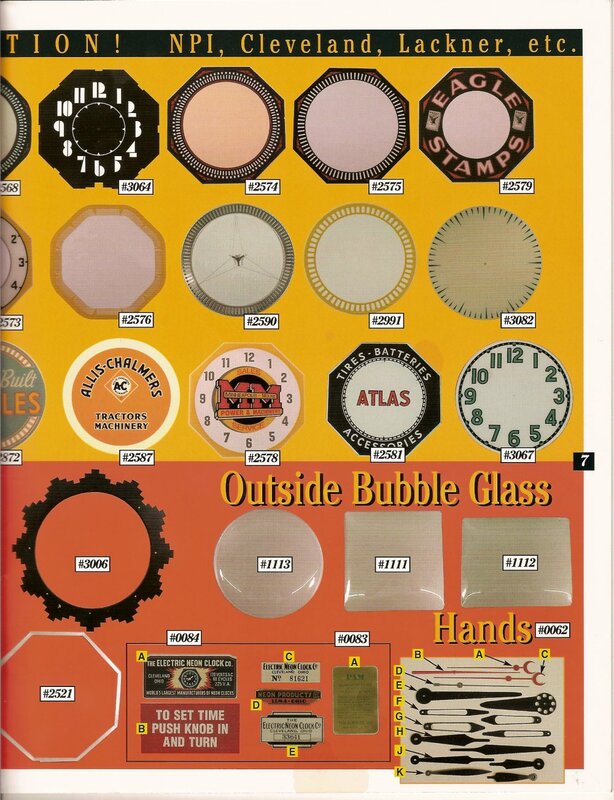 Clock Parts - Price List..
We Stock every part known to repair or restore your clock. 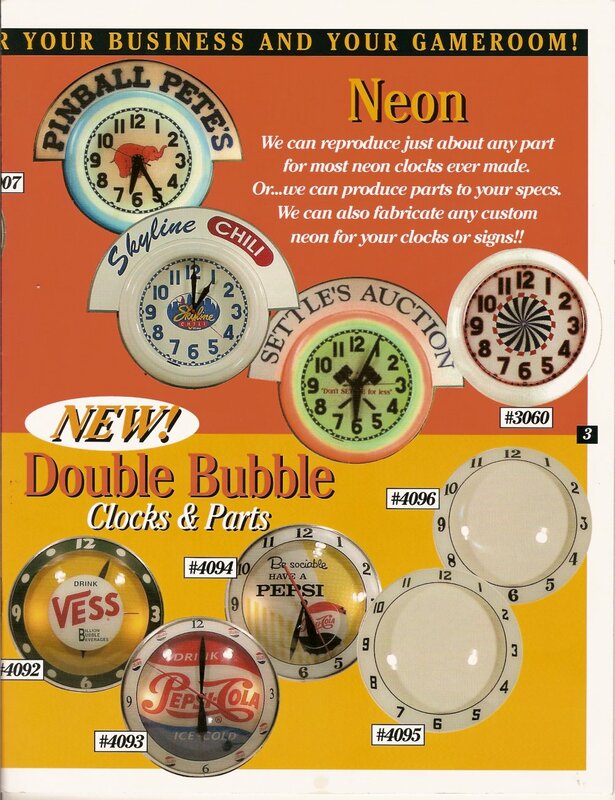 If you need Restoration parts for your Neon Or Lighted Clock Look no further! Double Bubble, Neon Products, Swihart, & More. 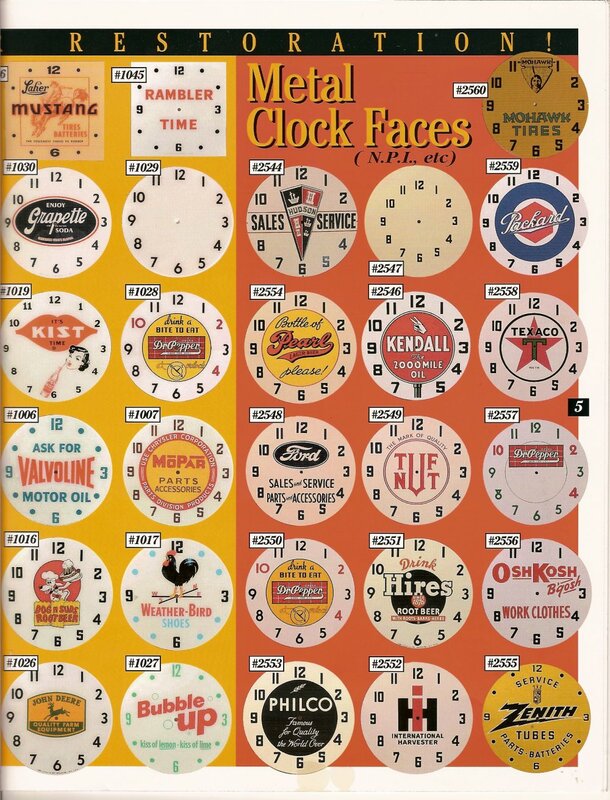 We Have Parts For Clocks You Probably Never Heard Of! 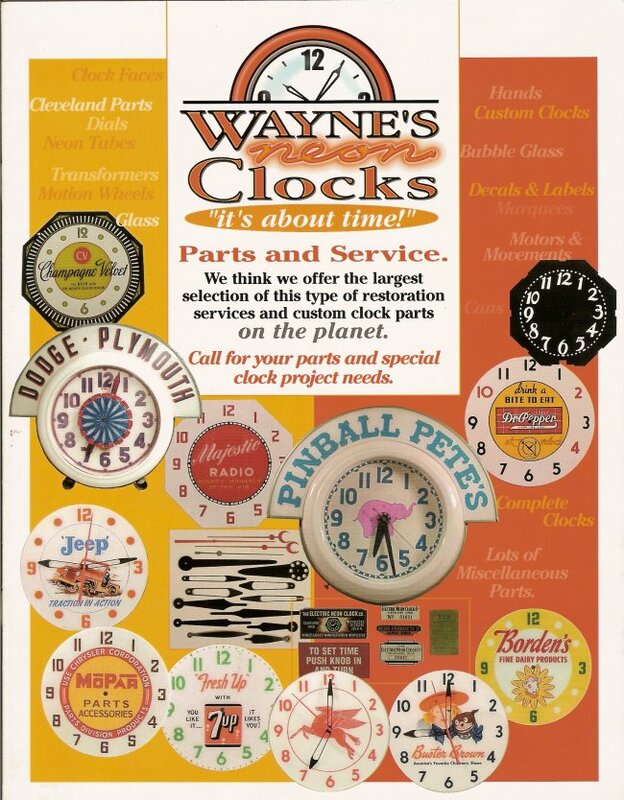 Call for your parts and special clock project needs. Dials, Cords, Etc, Even 11 Watt Bulbs! 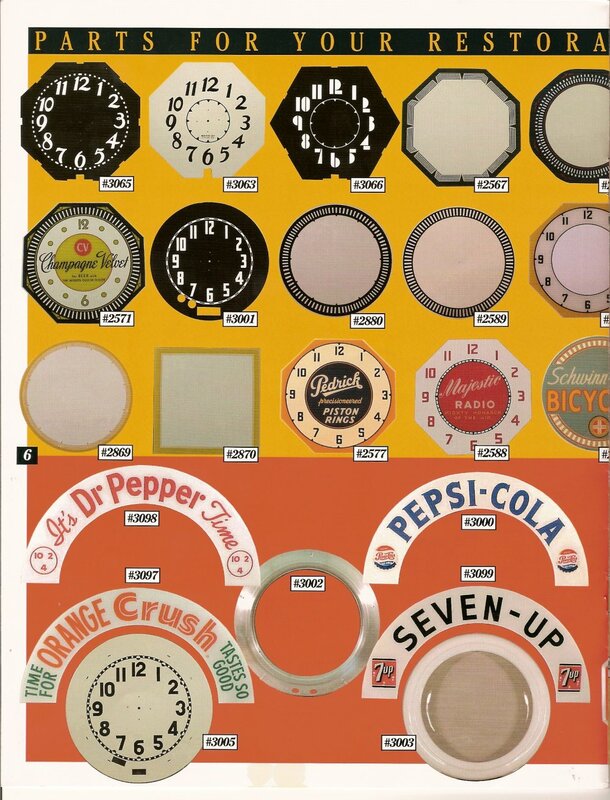 We also have a constantly changing supply of Vintage Parts! Click The images below to print your own catalog. High resolution so may take a little download time. 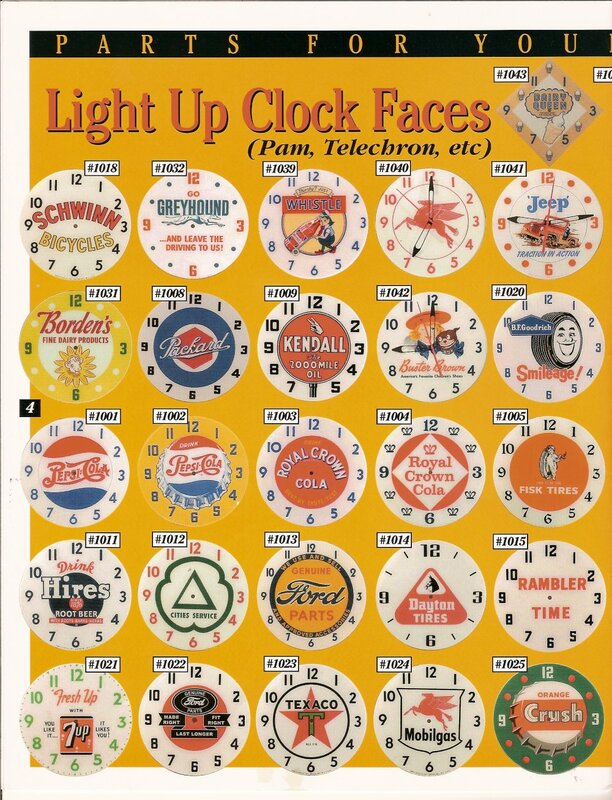 We are always looking to buy vintage clocks and signs to add to our collection. Below is a list of the type of stuff we are always Buying. 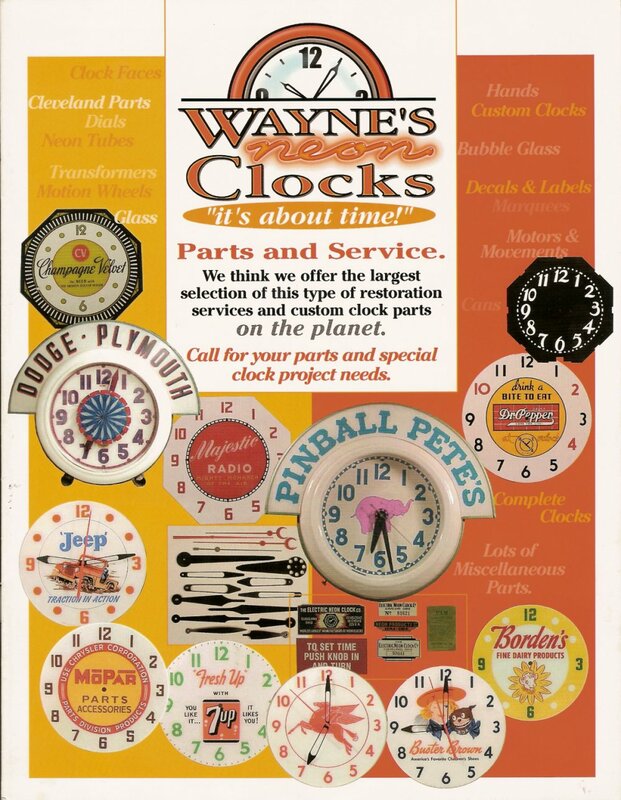 Copyright (c) 2007-2018 Wayne's Neon Clock's. All rights reserved.